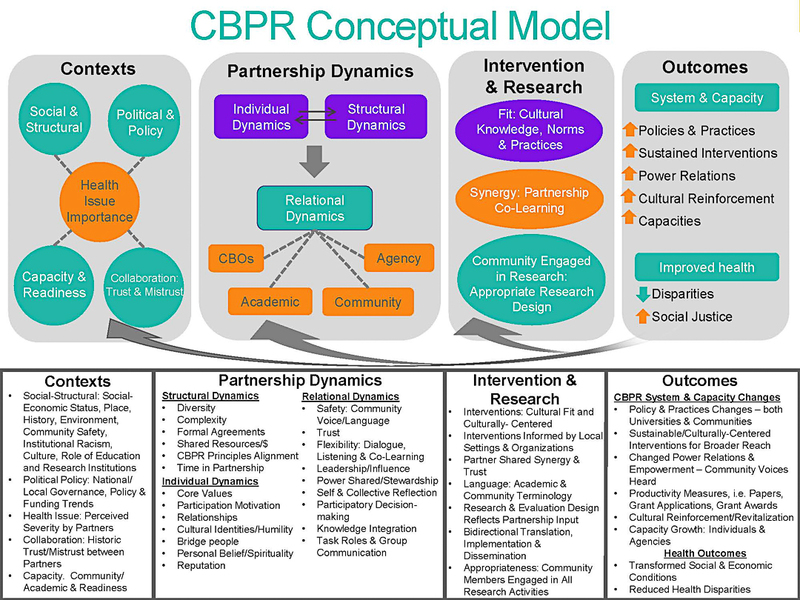 The Interactive – CBPR Conceptual Model is a product of “Research for Improved Health: A National Study of Community-University Partnerships”, an in-depth investigation of promoters and barriers to successful CBPR; funded by National Center for Minority Health & Health Disparities (2006-2009), Native American Research Centers for Health, National Institutes for Health and Indian Health Service (2009-2013). Our research has resulted with a CBPR Conceptual Model, and we are now able to provide the following Instrument and Variable matrices for information and questionnaire items which may be useful for evaluating CBPR partnerships and assessing their characteristics. Please see the information below on how to use these matrices.